This is NOT a video and resource package about driving, nor is it intended to replace the role of the ADI. It is about providing you and your pupils with additional methods and techniques that will enable capable drivers to pass their test without nerves getting in the way, and to reduce the number of times that you have to keep repeating the same basic instructions. As driving instructors we all have the same goal in mind; to get our pupils’ driving to a standard making sure that they become safe, confident and considerate drivers. 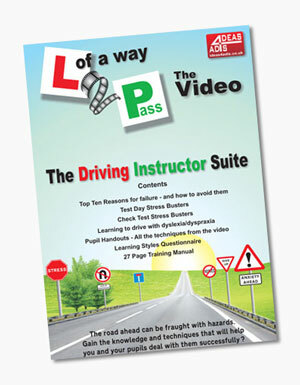 Specific visualisation exercises provided in this video package will help focus your pupils’ attention on their driving in between lessons. This will help to ensure that they haven’t forgotten everything that you taught them previously, thus helping to reduce the repetition during lessons. Other techniques used will increase your pupils’ confidence and competence levels, therefore making the learning process much more enjoyable and less frustrating for both yourself and your pupil. A massive 10% of the population is diagnosed as dyslexic, with an estimation that up to 25 percent of the population may have some form of dyslexia. That means that at any time, up to one quarter of your pupils may be dyslexic. It’s often difficult as instructors to accept that our standard method of teaching is not always the most appropriate for every learner, and your pupils who are dyslexic will benefit from multi-sensory learning techniques to help them to take information on board more easily. This comprehensive video product will enable your pupils to eliminate numerous negative emotions that inhibit learning, including fear, panic, embarrassment, frustration, intimidation, and replace with confidence, and increased self esteem. The techniques are so effective, you’ll find yourself using them for your own Check Tests! Advice from an expert will help you to combat the issues that dyslexic and dyspraxic learners face when learning to drive. You will learn how to assess your pupils individual Learning Style, so you can adapt your teaching style to match their individual needs. Discover the common issues experienced by dyslexic and/or dyspraxic learners, and methods to combat them. This package is included in the Driving Instructor Suite above. Did you know that 1 in 10 of your pupils is likely be dyslexic or dyspraxic? 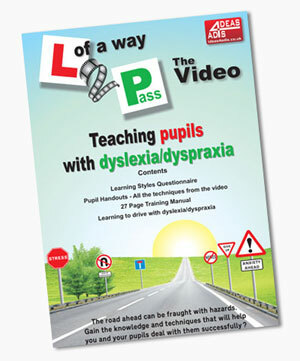 This video and associated CPD Training Manual is a handy guide to the most common issues faced by learners with dyslexia and dyspraxia, with helpful advice to combat these issues. 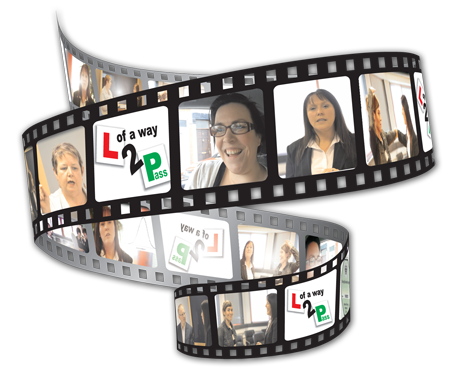 Featuring the experience and expertise of Colleen Pearson who, in addition to being a Dyslexia Assessor at Staffordshire University, is also dyspraxic herself. Her unique blend of specialist knowledge, combined with her own experiences of learning to drive, will be beneficial for driving instructors and learners alike.